There's a list here. Enjoy, TV pals! I have a .Mac account that I've used mainly for IM and for messing around with .Mac services. I rarely looked at email sent to that account -- when I did, I saw nothing but spam. Yesterday, after finding out that I'd missed an important email sent to that account, I took a good look, and I found some emails that weren't spam -- some of them very old. So to anyone who has emailed me at my .Mac address, I'm sorry for ignoring you, and I'll pay more attention to that address from now on. I guess I'm still new at this Internets thing. 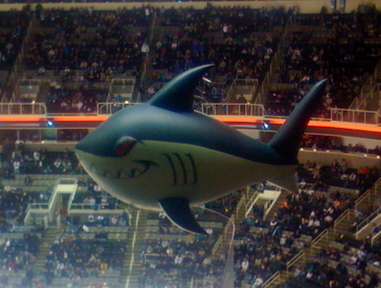 The San Jose Sharks of the National Hockey League have several small shark-shaped airships, called Air Sharks, that fly around the arena during intermission. It's pretty cool to watch them go -- as my son says, it makes you feel like you're in an aquarium. 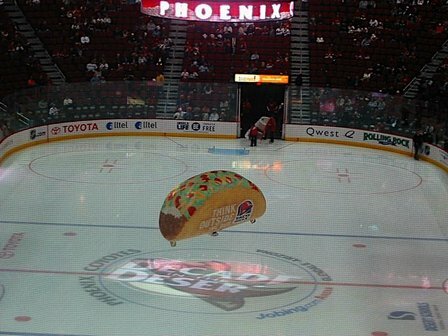 There are a bunch of other airships in the NHL, including a flying taco in Phoenix and a flying burrito in Dallas. 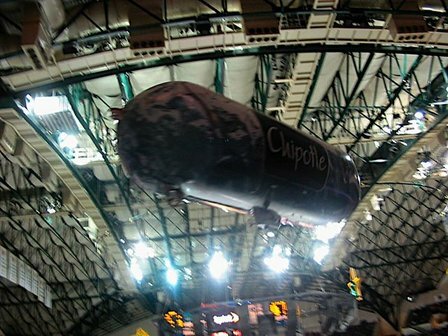 In Denver, I believe they have a flying Coors can. Of course. Photos courtesy of Sharks Hockey Odyssey. A few months ago I gushed about The Mesopotamians, a great somewhat-new song by my favorite band They Might Be Giants. Now please enjoy the semi-new music video for the song. 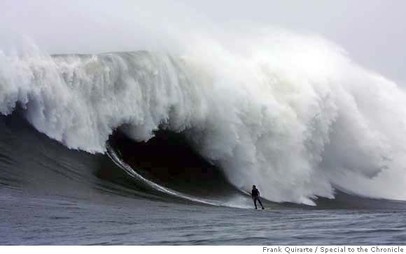 Check out this amazing picture of surfer Darryl "Flea" Virostko, about to get pounded by an enormous wave at Maverick's near Half Moon Bay, California. 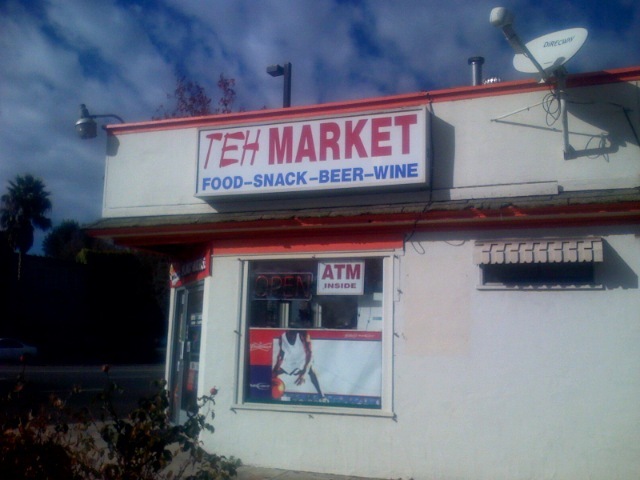 Teh Market, 1510 W. El Camino Real, Mountain View, California. 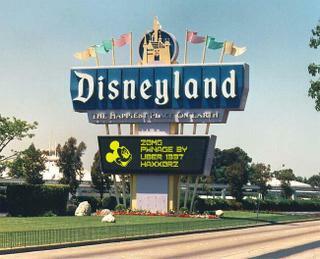 The Disneyland Sign Generator lets you create custom messages on a digital version of the good old Disneyland sign that used to stand on Harbor Boulevard. Go there and have fun. 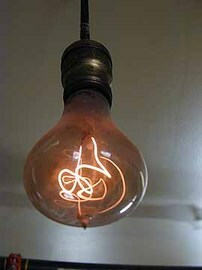 A light bulb in a fire station in Livermore, California has been burning since 1901. The bulb has been featured on many TV shows, news programs, magazines, and web sites, including Myth Busters. The next time you're in Livermore, you can visit the bulb. Or just check it out on its web cam. Check out these funny fake London tube announcements, made by the actual official "mind the gap" announcer woman, who apparently has lost her job because she recorded these.